SEMA 2014, world’s premier automotive specialty products trade event is underway at the Las Vegas Convention Center these days. Aftermarket manufacturers, original equipment manufacturers, installers, retailers and restoration specialists from all around the globe are showcasing their products at the event which will run till November 7, 2014. 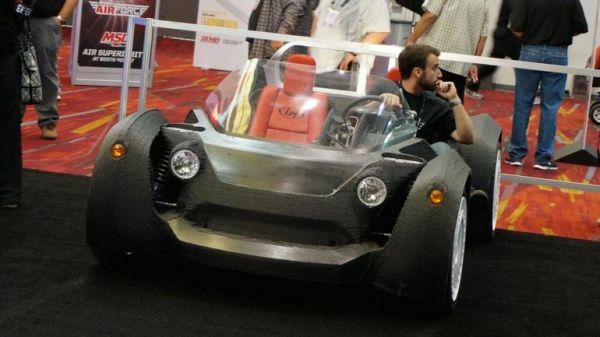 However, the most fascinating creation at the event is the world’s first 3D printed car. 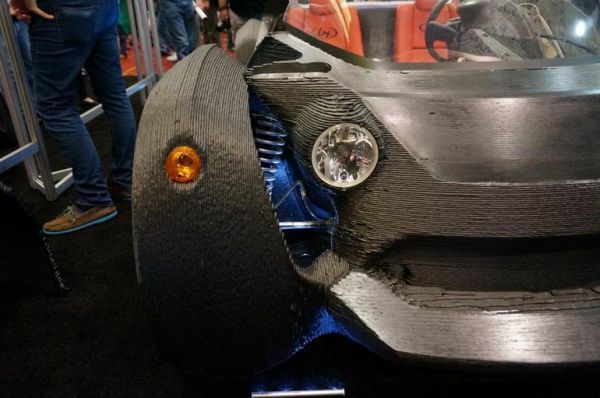 Created by Phoenix-based Local Motors, the automobile shell of the vehicle which is named ‘Strati’ is printed out using a 3D printer in one piece and the parts are cut down. 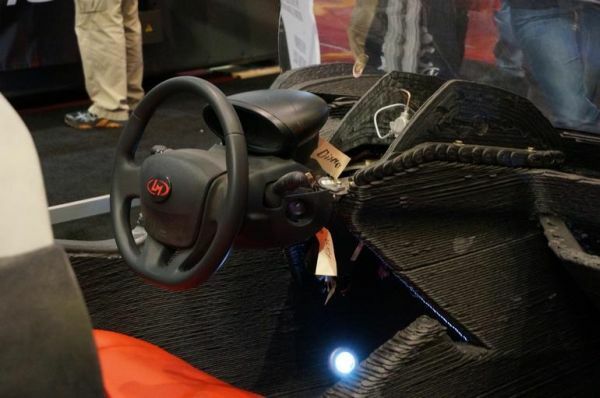 However, the most exciting part is that the company is creating a brand new Strati 3D printed car at the Convention Center in Las Vegas during the event in front of live audience. According to Local Motors Co-founder and CEO John B. Rogers, the car will be built in three phases over the course of four day event. It will take 44 hours to print the car and workers will assemble it after the printing process. Once completed, the car will be driven for its first test run on Las Vegas Strip. Borrowing suspension, steering components and power train from Renault Twizy, the only parts that are not 3D-printed are the seats, lights, wheels and tires. The world’s first 3D-printed electric vehicle will come with a 62-mile range and a top speed of about 50 mph. 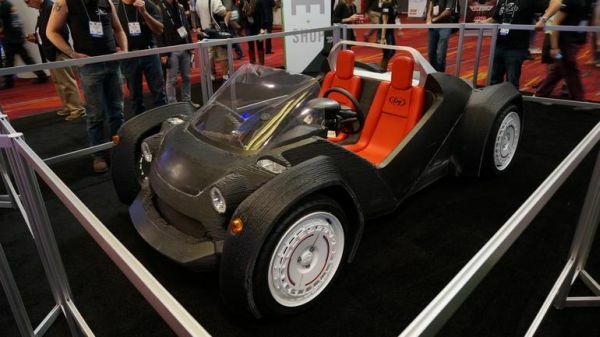 Local Motors will also be giving away 12 3D printed Strati cars to tuners, customizers and car modders to ‘pimp’ the car as part of their new ModMen Challenge. The competition will begin in January and the top 12 voters will be announced in March 2015. Finalist will showcase their customized 3D-printed cars at SEMA 2015, where the winner will be awarded with a grand prize. ← How about a life size Tyrannosaurus Skeleton replica for $100k?